On December 16 FHA came out with Mortgagee Letter 09-52, which provides guidance to lenders in how to deal with borrowers who have had a Short Sale and borrowers who are refinancing a "short payoff". This has been occuring quite a bit in Orange County, along with the rest of southern California. What is a Short Sale? What is a Short Payoff Refi? Short sales have been all the rage in 2009 but FHA has not been very clear on how they would deal with a borrower who had sold their home through a Short Sale. A Short Sale is where a property is sold for less than what is owed on the mortgage, thus creating a loss for the lender. A Short Payoff Refinance is where the lender "writes down" the principal on a loan in order to allow the homeowner to refinance. Will FHA Finance a Borrower Who has had a Short Sale? The answer is no, and yes. If an underwriter determines that the Short Sale was only so the buyer could take advantage of the declining market conditions and is now purchasing a home at a reduced price that is similar or superior to their old property and "within a reasonable commuting distance", then FHA will not allow financing for the borrower. Also, if the borrowers was behind on payments at the time of the Short Sale, or in default, then they will have to wait three years before being eligible for FHA Financing. Lenders are tending towards the conservative side, so it may be tough to prove to an underwriter that the actual purpose of a Short Sale was not to take advantage of lower home prices, thus taking advantage of the lender, mortgage insurance company, and in some cases, FHA. There are exceptions to the rule. If a default was due to circumstances beyond the borrowers control, such as a death of a primary wage earner, or serious illness, and a review of the credit report shows that their credit was good prior to the default, then the underwriter can make an exception and approve FHA financing. However, not all lenders will be willing to go out on a limb and do a "manual underwriting" to approve the loan, so these exceptions will be rare. FHA will finance borrowers who were current on their mortgage at the time of the short Sale, and the proceeds from the Short Sale will serve as payment in full. The borrowers credit would also have to be perfect, with no late payment on other installment debt during the previous 12 months from the loan application. How Does a Short Payoff Work? There are situations where lenders are willing to write down principal on a loan in order get the loan off their books. An Orange County FHA lender can refinance the loan as a rate and term refi, but the new FHA loan can not be greater than 97.75% of the properties current value. The loan amount needs to include the fees as well, which means the current lender would need to write down the principal. Quite often an investor, such as a private real estate investment group or even a pension fund, has purchased a bundle of loans at a discounted rate, which allows them to offer a principal writedown to the borrowers and still retain a profit. To be eligible for a refinancing with a Short Payoff the borrower must be current on their mortgage. Also, in some cases where the lender is not willing to completely eliminate principal, the amount that is not financed into the FHA loan can be subordinated, creating a 2nd mortgage. 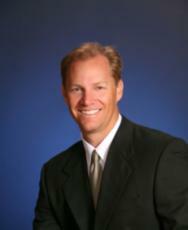 Lets say that in 2006 John Smith bought a home in Santa Ana for $700,000 with 20% down payment and a $560,000 loan. John's mortgage payment on the 30 year fixed loan at 6% is $3,357 and his current loan balance (36 months later) is $538,000. Now, in 2009, his home has dropped in value by 35% and is worth $455,000. An investment company has purchased his loan for 70 cents on the dollar, or $376,600. So far, nothing has changed for John. He still owes $538,000. But the investment company has no plans to service the loan. Their exit strategy is to get the loan refinanced and off their books. To get this done, they contact John and tell him they will write down his loan to $435,000, which will be enough to get his loan refinanced through FHA, with room for fees as well. After taking into consideration the FHA MIP, closing costs, and funds for the new impound account, John end's up with a new FHA loan of $450,000. Assuming an interest rate of 5%, his new payment, including the Monthly Mortgage Insurance that an FHA loan will have, would be $2,622. The FHA Short Refi saves John $734 per month, plus has shaved over $80,000 off of his loan balance. At the same time the investment company has quickly gotten the loan off their books and still made a good profit. While somewhat rare in 2009, we may see more of this in 2010 as mortgage servicers clean up their books and investment companies looking for a quick profits continue purchasing these loan "pools" at a discount.